KOLOHE (CO-LOW-HEY) What all my local aunties used to call me when I was growing up. It’s a Hawaiian word that means naughty; mischievous or rascal. Yes I was all of the above…. Sorry Mom and Dad ;) Now you get the idea behind the name? This sauce could get you in trouble if you hangout with it for too long. KOLOHEKID – KoloheKid is made with Ghost Peppers and cut with Hawaiian Chili Peppers. The heat is there but it’s a slightly tamer version with layers of depth and flavor. KOLOHE ORIGINAL – This is a Ghost Pepper (Bhut Jolokia) sauce like no other. If you like it hot, this is the sauce for you. Once you smell it your mouth begins to water. It has a naturally sweet tomato like flavor along with notes of strawberry and an immediate rise in heat. Like all Ghost Pepper experiences, the heat will continue to build so be careful, a little ghost a long way. If you’re interested in future batches of this sauce please add your email to our list at the bottom of the website. Every bottle is numbered 1/276 – 276/276, includes batch number and signature. The best! We can’t keep enough at our office. Love all of their flavors. very hot, but great flavor. a sweet burn. make a bloody mary, add kolohe and clam juice. the best. awesome flavor. just sit back and enjoy the sweet burn. enjoy, life is short. Great taste, and hot enough that you don’t need to use a lot in each serving. Such an awesome flavor!!! So glad that the wait for Kolohe did not disappoint me!!!! The first time I had a taste of Adoboloco was on my Maui trip And I fell in love ever since. Thanks guys for awesome products. If you like the Adoboloco Hamajang sauce but would like a little more zing, this is the sauce to buy. You’ll trade the smokiness for a nice clean pepper flavour. Use sparingly, and enjoy! I am a big fan of Adoboloco sauces! My absolute favorite is the Hamajang sauce but sometimes I want even more heat than that. I have bought the Kolohe sauce from the 1st and 3rd batches and it is great! I will definitely buy more when the next batch is released! As soon as it was available online, I knew I had to try the Kolohe. It didn’t dissapoint! The Kolohe has the right amount of spice. My favorite thing to put it on is tri-tip tacos and fried rice. I recommend Adoboloco to anyone and everyone!!! Da best peppa-wata eva brah! Highly recommend watching for this next limited release and getting a bottle or 4 for yourself, just leave me some! Dis da kine brah, mahalo and BACAK!!! the best… great product… great delivery system… taste that hits slowly and full of flavor, then builds the heat into a full on hot sauce… glad I bought 6. Simply one of the best hot sauces in the world. Straightforward clean heat with a great ghost pepper flavor. I’m a fan of all Adoboloco sauces! Best ghost pepper sauce on the planet. I wish there were more than 5 Stars to give. It deserves it. First off, all of the Adoboloco sauces are off the charts. I’ve never been disappointed with any of them. If you open our fridge, we have almost every sauce on hand. Before we got the Kolohe, we inhaled the Hamajang. It’s got such a great flavor and I made the Hamajang chili with it – I’d encourage you to do the same. But this Kolohe…man…it’s good!! Everyone needs a bottle in their life. My husband is a hot sauce lover and after tacos tonight, he said “Yup, the Kolohe is my favorite now.” It’s a hot one, but so good!!! 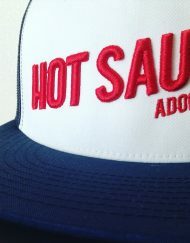 Great job Adoboloco on another killer hot sauce. We used to grow Ghost Peppers to make our own chili pepper water. While it is hot and my parents like the heat (we grew up with Hawaiian Chili plants) this Kolohe sauce has more depth of flavor. Definitely better than Tabasco or Siracha. 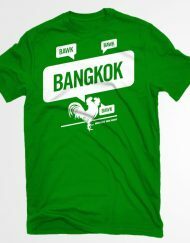 I will be ordering the next batch for sure. If you like intense heat with a little flavor then Kolohe is something you should try! A little goes a long a way, it’s fire. If you’re looking for just a straight hot sauce, this is your guy to try. Like a little more flavor with the heat, then consider the Hamajang. 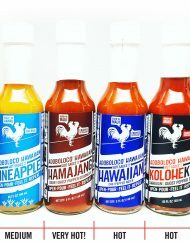 If you go into my cabinet you will find 5 bottles of various Adoboloco hot sauces, including my proudest addition, Kolohe. I tried to order from the first 2 batches but missed out. I love these sauces because they have clean, pure flavors which is a result of the quality ingredients and simple recipes. I am chili head so ghost peppers don’t scare me. This sauce delivers on flavor and heat. A little goes a long way. My second batch of Kolohe hot sauce. This is my favorite, intense heat, nice spice and not too much excess flavors. I have thrown away my Sriracha, Tabasco and all the others and replaced all my hot sauces with Adoboloco. These make awesome gifts for your spice loving friends, if you don’t end up using them up yourself. I don’t know where to start-received my supply of Kolohe today and I’m in Hog Heaven! I had given away my last bottle and was anxious to get this order. Now for taste, it’s all good. I have 4 bottles on the lazy susan and I switch depending on what I have a taste for. However, the Kolohe is my personal favorite followed closely by the Hamajang. However, it’s all good and I have yet to be disappointed. Keep up the great works Bra’ and Sista’s! !